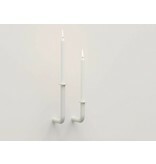 Beautiful set of candlesticks Wall of Flame in white. 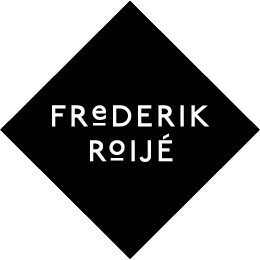 Nice Dutch design by Studio Frederik Roije. 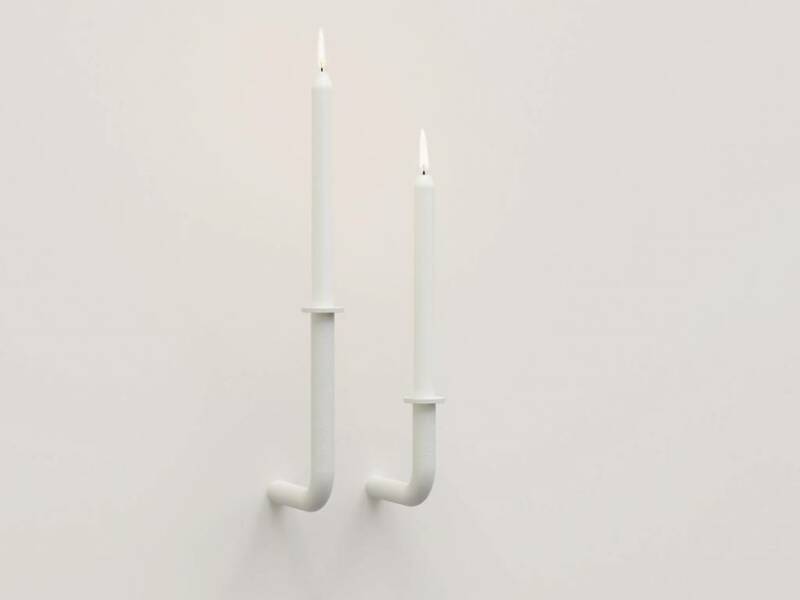 You get the candlesticks as a package and you really have to drill two holes in the wall, but then you also have something unique on the wall! 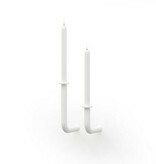 You use the slightly thicker dinner candle, which you clamp in the candlestick. The candle can be completely burned out, and so end up safely in the candlestick (if something remains). There is no need to mess, a handy edge catches the wax. A large and a slightly smaller candlestick are supplied in the set with mounting material. 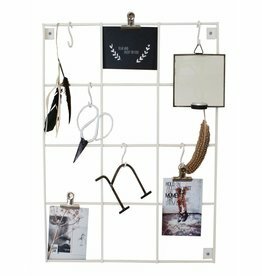 Nice wall rack of mesh with 3 white s hooks and 3 clips. 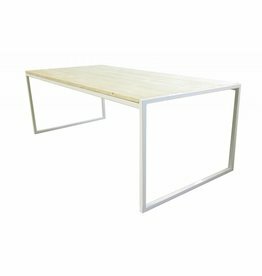 Tough Tough metal dining table with a white base in industrial style. Nice rack or rack by Tomado. 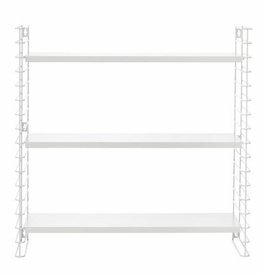 This metal wall cabinet is white. Gold coloured stackable basket in 2 sizes available from House Doctor. 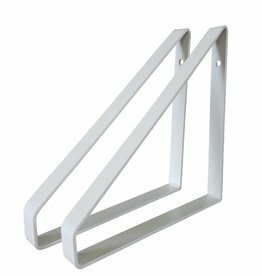 Tough metal shelf supports or shelf holders, white.